In my previous post I talked about Western Digital RE4-GP 2TB drive problems. 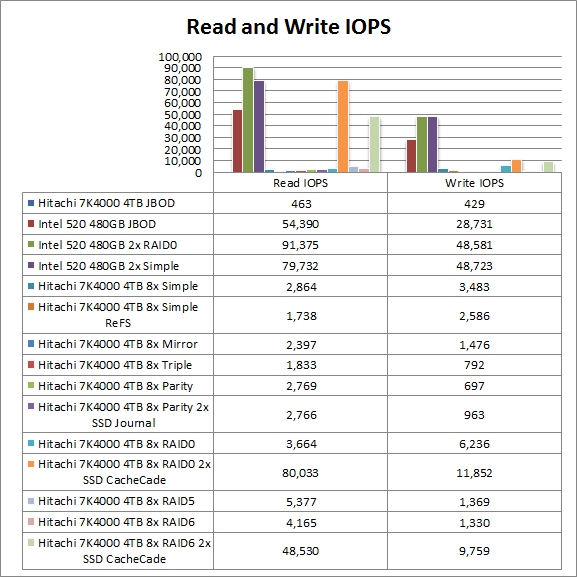 In this post I present my test results for 2TB drives from Seagate and Hitachi. The test setup is the same as for the RE4-GP testing, except that I only tested 4 drives from each manufacturer. Unlike the enterprise class WD RE4-GP and Hitachi Ultrastar A7K2000 drives, the Seagate Barracuda LP drive is a desktop drive. The equivalent should have been a Seagate Constellation ES drive, but as far as I know the 2TB drives are not yet available. The Hitachi A7K2000 drives performed without issue on all three controllers, the Seagate Barracuda LP drive failed to work with the Adaptec controller. The Hitachi Ultrastar A7K2000 outperformed the Seagate Barracuda LP drive, but this was not really a surprise given the drive specs. The Areca ARC1680 controller produced the best and most reliable results, the Adaptec was close, but given the overheating problem, it is not reliable unless additional cooling is added. I tested the drives as shipped, with no jumpers, running at SATA-II / 3Gb/s speeds. As in my previous test I had to use an extra fan to keep the Adaptec card from overheating. The Hitachi drives had no problems. The Hitachi drives completed initialization in 16 hours. The Seagate drives would not show up on the system, I tried different ports, resets, cable swaps, no go. The Areca had not problems with the Hitachi or Seagate drives. The Hitachi drives completed initialization in 40 hours. The Seagate drives completed initialization in 49 hours. The array initialization time of the Areca is significantly longer compared to Adaptec or LSI. The Hitachi drives reported a few “Invalid field in CDB” errors with, but it did not appear to affect the operation of the array. The Hitachi drives completed initialization in 4 hours. The Seagate drives reported lots of “Invalid field in CDB” and “Power on, reset, or bus device reset occurred” errors, but it did not appear to affect the operation of the array. The Seagate drives made clicking sounds when they powered on, and occasionally during normal operation. 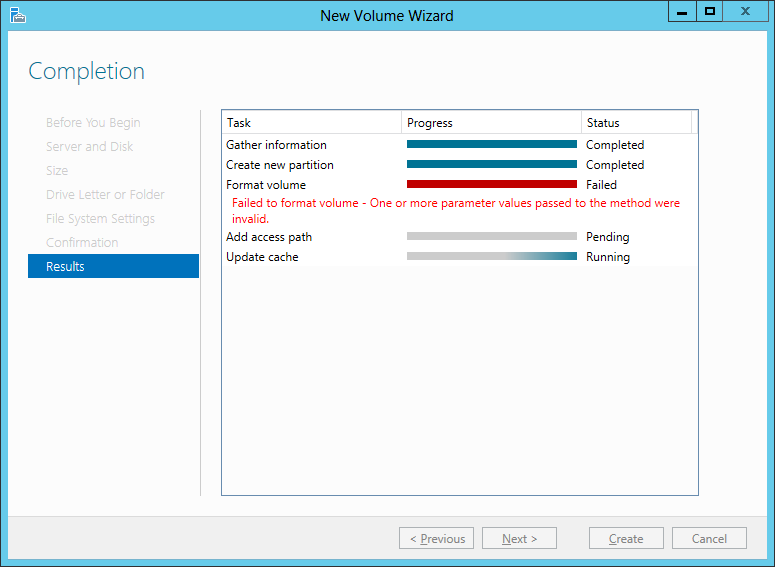 The Seagate drives completed initialization in 4 hours. 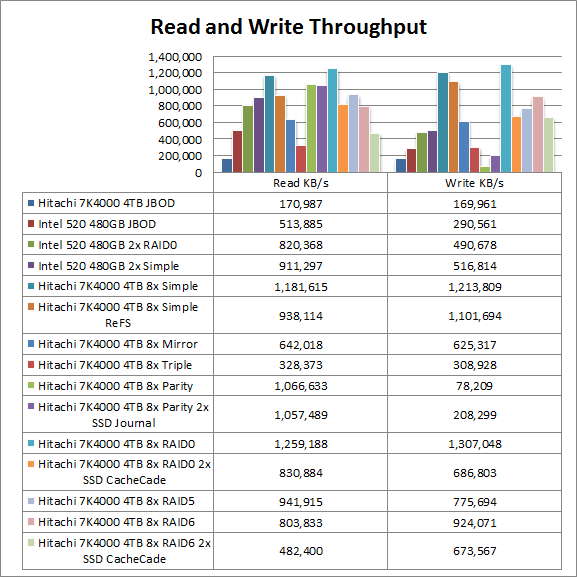 The Hitachi A7K2000 outperformed the Seagate Barracuda LP drive, but this was not really a surprise given the drive specs. I will be scaling my test up from 4 to 12 Hitachi drives, using the Areca controller, and I will expand the Areca cache from 512MB to 2GB. In my previous two posts I described my research into the power saving features of various enterprise class RAID controllers. In this post I detail the results of my testing of the Western Digital RE4-GP enterprise class “green” drives when used with hardware RAID controllers from Adaptec, Areca, and LSI. To summarize, the RE4-GP drive fails with a variety of problems, Adaptec, Areca, and LSI acknowledge the problem and lays blame on WD, yet WD insists there are no known problems with the RE4-GP drives. I started testing the drives as shipped, with no jumpers, running at SATA-II / 3Gb/s speeds. The Adaptec card has 3 x internal SFF-8087 ports and 1 x external SFF-8088 port, supporting 12 internal drives. The Adaptec card had immediate problems with the RE4-GP drives, in the ASM utility the drives would randomly drop out and in. I could not complete testing. The Areca card has 3 x internal SFF-8087 ports and 1 x external SFF-8088 port, supporting 12 internal drives. Unlike the LSI and Adaptec cards that require locally installed management software, the Areca card is completely managed through a web interface from an embedded Ethernet port. The Areca card allowed the RAID volumes to be created, but during initialization at around 7% the web interface stopped responding, requiring a cold reset. The LSI card has 2 x internal SFF-8087 ports and 2 x external SFF-8088 port, supporting 8 internal drives. Since I needed to host 10 drives, I used the Chenbro 28 port SAS expander. The 8888ELP support page only lists the v3 series drivers, while W2K8R2 ships with the v4 series drivers, so I used the latest v4 drivers from the new 6Gb/s LSI cards. 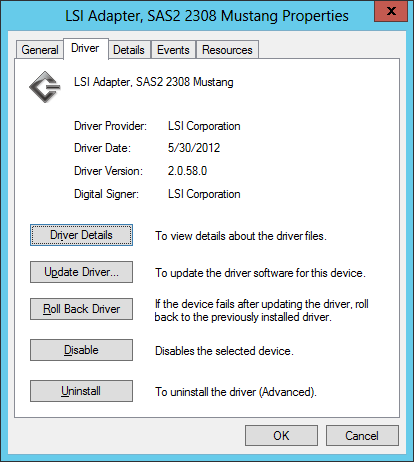 The LSI and Chenbro allowed the volumes to be created, but during initialization 4 drives dropped out, and initialization failed. I contacted WD, Areca, Adaptec, and LSI support with my findings. WD support said there is nothing wrong with the RE4-GP, and that they are not aware of any problems with any RAID controllers. When I insisted that there must be something wrong, they suggested I try to force the drives to SATA-I / 1.5Gb/s speed and see if that helps. I tested at SATA-I / 1.5Gb/s speed, and achieved some success, but I still insisted that WD acknowledge the problem. The case was escalated to WD engineering, and I am still waiting for an update. Adaptec support acknowledged a problem with RE4-GP drives when used with high port count controllers, and that a card hardware fix is being worked on. I asked if the fix will be firmware or hardware, and was told hardware, and that the card will have to be swapped, but the timeframe is unknown. Areca support acknowledged a problem between the Intel IOP348 controller and RE4-GP drives, and that Intel and WD are aware of the problem, and that running the drives at SATA-I / 1.5Gb/s speed resolves the problem. I asked if a fix to run at SATA-II / 3Gb/s speeds will be made available, I was told this will not be possible without hardware changes, and no fix is planned. LSI support acknowledged a problem with RE4-GP drives, and that they have multiple cases open with WD, and that my best option is to use a different drive, or to contact WD support. I asked if a fix will become available, they said that it is unlikely that a firmware update would be able to resolve the problem, and that WD would need to provide a fix. This is rather disappointing, WD advertises the RE4-GP as an enterprise class drive, yet 3/3 of the enterprise class RAID controllers I tested failed with the RE4-GP, and all three vendors blame WD, yet WD insists there is nothing wrong with the RE4-GP. I continued testing, this time with the SATA-I / 1.5Gb/s jumper set. This time the Adaptec card had no problems seeing the arrays, although some of the drives continue to report link errors. A much bigger problem was that the controller and battery was overheating, the controller running at 103C / 217F. In order to continue my testing I had to install an extra chassis fan to provide additional ventilation over the card. The Adaptec and LSI have passive cooling, where in contrast the Areca has active cooling and only ran at around 51C / 124F. The Areca and LSI batteries are off-board, and although a bit inconvenient to mount, they did not overheat like the Adaptec. Initialization completed in 22 hours, compared to 52 hours for Areca and 8 hours for LSI. 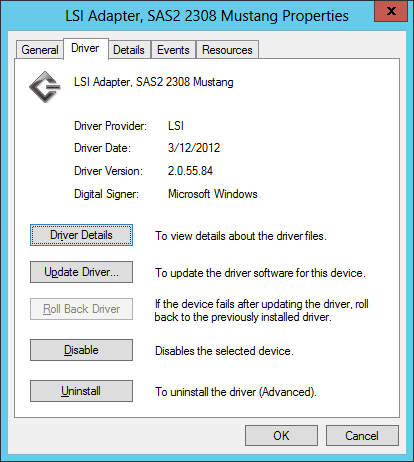 The controller supports power management, and drives are spun down when not in use. This time the Areca card had no problems initializing the arrays. Initialization completed in 52 hours, much longer compared to 22 hours for Adaptec and 8 hours for LSI. Areca support said initialization time depends on the drive speed and controller load, and that the RE4-GP drives are known to be slow. This time only 2 drives dropped out, one out of each array, and initialization completed after I forced the drives back online. Initialization completed in 8 hours, much quicker compared to 22 hours for Adaptec and 52 hours for Areca. The controller only supports power management on unassigned drives, there is no support for spinning down configured but not in use drives. Although all three cards produced results when the RE4-GP drives were forced to SATA-I / 1.5Gb/s speeds, the results still show that the drives are unreliable. The RE4-GP drive fails with a variety of problems, Adaptec, Areca, and LSI acknowledge the problem and lays blame on WD, yet WD insists there are no known problems with the RE4 drives-GP. There are alternative low power drives available from Seagate and Hitachi. I still haven’t forgiven Seagate for the endless troubles they caused with ES.2 drives and Intel IOP348 based controllers, and, like WD, also denying any problems with the drives, yet eventually releasing two firmware updates for the ES.2 drives. I’ve always had good service from Hitachi drives, so maybe I’ll give the new Hitachi A7K2000 drives a run. One thing is for sure, I will definately be returning the RE4-GP drives. I tested the Seagate Barracuda LP and Hitachi Ultrastar 2TB drives. 3Ware published a KB (15573) documenting problems with RE4-GP drives. 3Ware published a KB (15592) with the new WD firmware for the RE4-GP drives. Adaptec published a KB (16913) documenting problems with RE4-GP drives. WD support still has not responded to my request for the firmware. This post continues from my last post on power saving RAID controllers. It turns out the Adaptec 5 series controller are not that workstation friendly. I was testing with Western Digital drives; 1TB Caviar Black WD1001FALS, 2TB Caviar Green WD20EADS, and 1TB RE3 WD1002FBYS. I also wanted to test with the new 2TB RE4-GP WD2002FYPS drives, but they are on backorder. I found that the Caviar Black WD1001FALS and Caviar Green WD20EADS drives were just dropping out of the array for no apparent reason, yet they were still listed in ASM as if nothing was wrong. 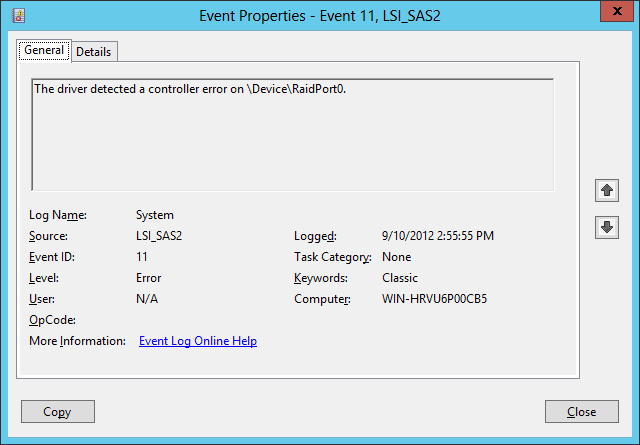 I also noticed that over time ASM listed medium errors and aborted command errors for these drives. In comparison the RE3 WD1002FBYS drives worked perfectly. 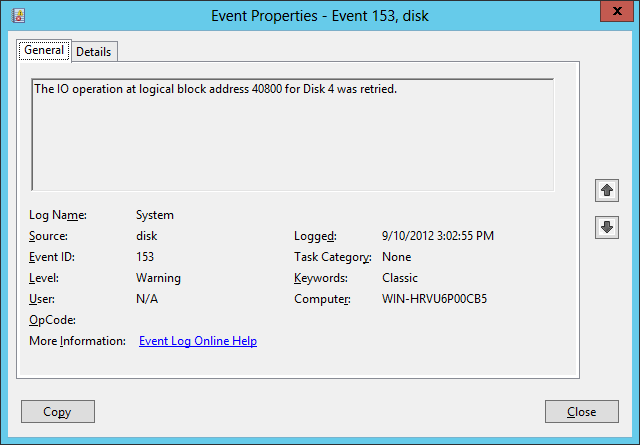 A little searching pointed me to a feature of WD drives called Time Limited Error Recovery (TLER). You can read more about TLER here, or here, or here. Basically the enterprise class drives have TLER enabled, and the consumer drives not, so when the RAID controller issues a command and the drive does not respond in a reasonable amount of time, the controller drops the drive out of the array. The same drives worked perfectly in single drive, RAID-0, and RAID-1 configurations with an Intel ICH10R RAID controller, granted, the Intel chipset controller is not in the same performance league. The Adaptec 5805 and 5445 controllers I tested did let the drives spin down, but the controller is not S3 sleep friendly. Every time my system resumes from S3 sleep ASM would complain “The battery-backup cache device needs a new battery: controller 1.”, and when I look in ASM it tells me the battery is fine. Whenever the system enters S3 sleep the controller does not spin down any of the drives, this means that all the drives in external enclosures, or on external power, will keep on spinning while the machine is sleeping. This defeats the purpose of power saving and sleep. The embedded Intel ICH10R RAID controller did correctly spin down all drives before entering sleep. Since installing the ASM utility my system is taking a noticably longer time to shutdown. Vista provides a convenient, although not always accurate, way to see what is impacting system performance in terms of even timing, and ASM was identified as adding 16s to every shutown. It really seems that Adaptec did not design or test the 5 series controllers for use in Workstations, this is unfortunate, for performance wise the 5 series cards really are great. I received several WD RE4-GP / WD2002FYPS drives. I tested with W2K8R2 booted from a WD RE3 / WD1002FBYS drive connected to an Intel ICH10R controller on an Intel S5000PSL server board. I tested 8 drives in RAID6 connected to a LSI 8888ELP controller, worked perfectly. I connected the same 8 drives to an Adaptec 51245 controller, at boot only 2 out of 8 drives were recognized. After booting, ASM showed all 8 drives, but they were continuously dropping out and back in. I received confirmation of similar failures with the RE4 drives and Adaptec 5 series cards from a blog reader. Adaptec support told him to temporarily run the drives at 1.5Gb/s, apparently this does work, I did not test it myself, clearly this is not a long term solution, nor acceptable. I am still waiting to hear back from Adaptec and WD support. I received a reply from Adaptec support, and the news is not good, there is a hardware compatibility problem between the WD RE4-GP /WD2002FYPS drives. I asked support if a firmware update will fix the issue, or if a hardware change will be required. I experienced similar timeouts testing an Areca ARC-1680 controller. Areca support was very forthcoming with the problem and the solution. “this issue had been found few weeks ago and problem had been reported to WD and Intel which are vendors for hard drive and processor on controller. because the problem is physical layer issue which Areca have no ability to fix it. but both Intel and WD have no fix available for this issue, the only solution is recommend customer change to SATA150 mode. and they had closed this issue by this solution. That explains why the problem happens with the Areca and Adaptec controllers, but not the LSI, both use the Intel IOP348 processor.